There are some of the travelers in Assam, which had a problem with the taste of the water. Although, the water is natural for the locals and they like it, some travelers coming from outside were found uncomfortable with water. So, such a travelers should always carry the mineral water bottle with them. Also, the summers are very hot in Assam, so having a mineral water bottle will surely give relaxation to you. The climate in the Assam is very hot and humid in the summer season. So, it is always better that the tourists should plan to visit here mostly in winter and autumn season. This climate makes the scenarios of Assam more beautiful, the tourists do have a great time and enjoyment in this season. The evenings of various spots in Assam are very mesmerizing. Assam is really a beautiful place to travel. However, it may be a little difficult for the tourist coming for first time. There are many of the difficult roads to understand and also possibility of missing some of the vital spots here is possible. So, here a proper travel guide can surely male your trip a little easy and meaningful. He can guide you better to travel in Assam. 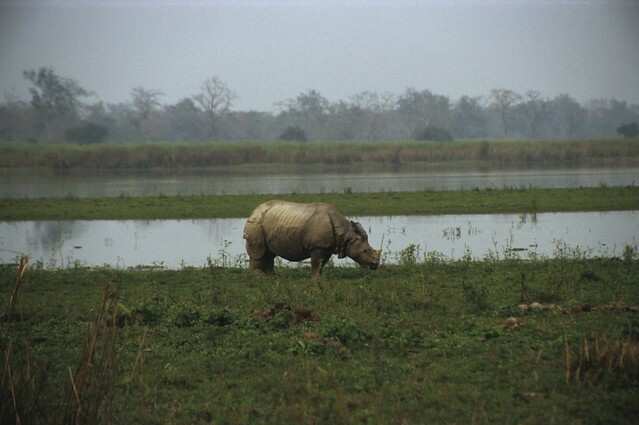 When you travel in Assam, there are some of the places which are little crowded. There are some of the possibility of your wallet getting stolen. So, always safeguard your wallet first. Keeping the wallet in the front pocket is always the best technique to protect your wallet. Also, it is better that you avoid going in too many crowded places. Whenever you travel in Assam, do avoid eating or drinking from a stranger. There are some of the thugs and wrong people in Assam, who may deceit you. They may act very friendly, however remaining at a distance from them is advisable. However, the general people of Assam are very friendly and always ready to help any of the person asking for help. The possibility of getting medicines in some places is very less. The travelers who have the habit of taking the medicines, should carry their respective medicines with them. It is also advisable that one carries some of the precautionary medicines on the health issues like cough, sneezing, viral fever, etc. This will ensure that the health of the tourists is very fine. Whenever you travel in Assam or say any other tourist destination, the possibility of spending more money than calculated is very much. So, while you travel in Assam there are possibility of spending more on the things like eating, traveling, buying, etc. So do put a proper check on the expenses. Avoid spending on expensive things, which can make your pocket empty. There are frequent check ups occurring in Assam, due to the security reasons. The tourist who do not possess the necessary Id proofs may have to face a bit difficulty from the officials. So always carry the necessary Id proofs which will surely avoid the problems and make your tour trouble free. When you stay in a particular hotel, do not forget to lock your room. You cannot depend totally upon the security given by the hotel. Also, now a days many of the hotels do not take the responsibility if any of the things gets stolen. So, whenever you go out do lock your room properly. Ensure that your valuables are safeguarded properly. Whenever you want to travel in the Assam, the autos and taxis are the best options for travelling. Many of the tourists prefer the autos and taxis for the travelling as they are very much affordable and convenient modes of transportation in Assam. There are many of the difficult roads, which can be easily traveled by autos and taxis. The autos and taxis are really best to travel in Assam.